The New Jersey Performing Arts Center (NJPAC) and WBGO Jazz 88.3FM the inaugural James Moody Democracy of Jazz Festival. 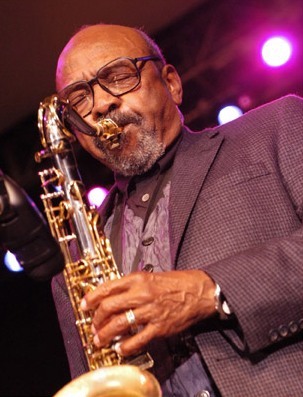 It's a celebration of jazz and the legacy of jazz musician James Moody. The festival will take place October 15 - 21, 2012 at NJPAC and other community-based venues. Bassist/composer Christian McBride serves as the Artistic Adviser of the festival. Tickets for the Festival, available now, may be purchased by telephone at 1-888-GO-NJPAC (1-888-466-5722), at the NJPAC Box Office at One Center Street in downtown Newark (open Tuesday-Saturday, noon to 6pm, and Sunday, noon to 5pm), or online at www.njpac.org. Two all-star concerts in NJPAC's Prudential Hall will be the headline events for The James Moody Democracy of Jazz Festival - the first, on Friday, October 19, 2012 at 8pm is titled For Love of Moody: A Jazz Celebration. Moody's legacy will be celebrated with a night featuring his favorite musicians and friends including George Benson, The Manhattan Transfer and David Sanborn, plus special guests Kenny Barron, Jon Faddis, Jimmy Heath, John Lee, Paquito D'Rivera, Christian McBride, Paul Lieberman, and Todd Coolman, Adam Nussbaum and Renee Rosnes (long time members of Moody's group). From Sarah to Whitney, Newark has been the birthplace and proving ground for great jazz vocalists. As homage to a master, NJPAC will introduce its inaugural Sarah Vaughan International Jazz Vocal Competition. An international talent search will culminate in a special concert on Sunday, October 21, 2012 at 3pm in NJPAC's Victoria Theater by the finalists, with rare concert footage of Sarah Vaughan. Presented as part of NJPAC's Jazz Roots Series with consulting producer Larry Rosen. Details on contest entrance rules and regulations will be announced in May. Magic Tree House: A Night in New Orleans will play a series of free performances in the Newark Public Schools for all 4,300 of the City's fourth grade students. Two additional performances for the public will be featured in NJPAC's Victoria Theater on Saturday, October 20, 2012 at 1pm and 4pm. On Wednesday, October 17, 2012 the Arts Center will host Hitting the High Notes, the 10th anniversary gala event benefiting Jazz House Kids, an acclaimed community-based arts organization with a mission to provide year-round musical, educational, and cultural programs to students in grades K-12, teachers, adults, and families from diverse backgrounds. Information on the comprehensive Festival lineup will be announced as part of NJPAC's 2012-13 season lineup in May.